This is the life - beautiful sunsets on Lake Kedron & golf cart everywhere! This gorgeous home is on the largest lot in exclusive neighborhood & has many updates including refinished hardwoods & all new paint throughout. 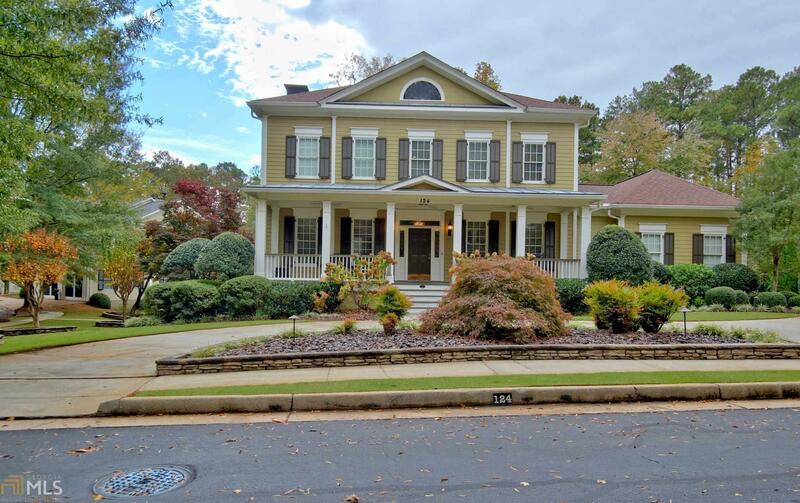 Huge front porch & stunning 2-story foyer entrance. Formal dining rm, office/bedroom & full bath. Great room w/ fireplace & built-ins & open to kitchen w/ granite & huge island. Amazing screened porch overlooks pool, fenced yard & lake. Master bedroom has fireplace & walk in closets w/ custom built-ins. Two additional bedrooms have private baths. Terrace level has large family room & second kitchen-perfect for in-law suite & entertaining. Also includes office/bedroom & exercise room. 2 car plus golf cart garage. Walk to shops & restaurants!